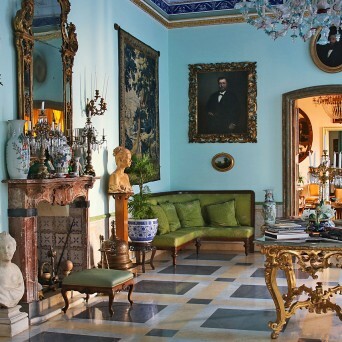 We are proud to welcome you in one of the most characteristic palaces in Sicily. 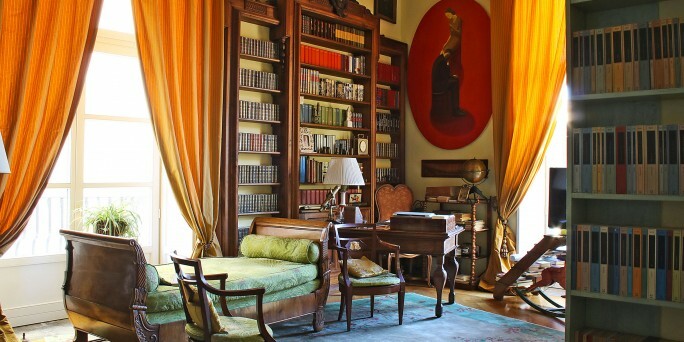 Staying in this historical residence you’ll live a unique and immersive experience in classics. In “Palazzo Pantelleria” rooms you’ll enjoy the atmosphere of real baroque times 24 hours a day. 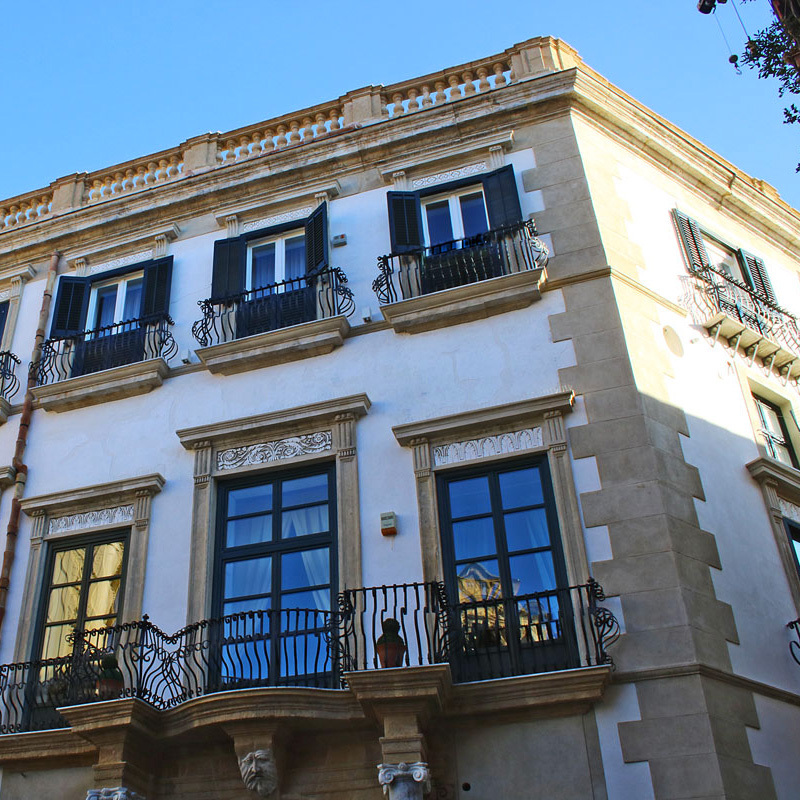 Designed in the late middle age in front of the sea, it still stands in the heart of the city as a charming Home Museum offering its noble interiors and rooms to our exclusive guests. The Blue salon: CHARMING LIGHTS AND COLOURS FOR A STYLISH DANCE. In the Blue Salon you will be heated and enlightened by the luxurious Murano ancient chandelier and by the historical marble chimney. As in Visconti's Gattopardo, take your own valzer dance in this wonderful frescoed ballroom, enjoy your image reflected in '700s mirrors and colored lights and then have a short rest next to our child with the flute. You can also taste the savor of past century trips through the jars and bowls coming from ancient flaneurs and merchants In daily hours you will be able to discover the history of Sicily and Palermo, thanks to the specialized books and guides you can find on the Baroque center table. IT'S NOT ABOUT LUXURY... IT'S ABOUT BEAUTY. Taste your charming experience 24 Hours a day! La Bella Palermo offers you five complete bedrooms with private bathtooms. 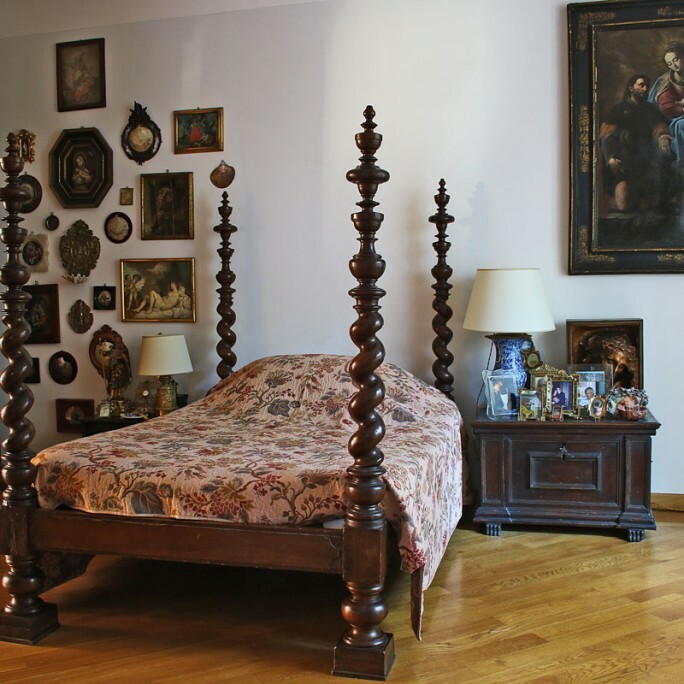 Every bedroom is furnished with authentic antique cabinets, now restored for a pleasant stay. Just get out of your bed, have a nice espresso with us and dive in the museum rooms in your own slippers! You can explore the 11.000 square feet noble residence with a 360' exclusive perspective, 24 Hours a day! 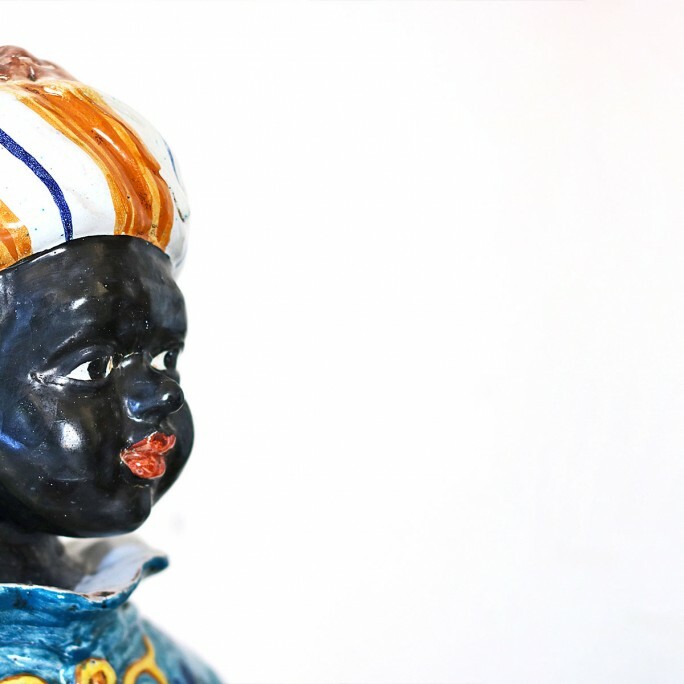 Among the city’s wonders: al-Qasr castle, the Norman Palace, the Chinese building and the Byzantine mosaics, you can find La Bella Palermo in Palazzo Pantelleria. Built in the late 1300 as a fortified outpost overlooking the sea and near the harbour, the embattled structure -you can still see the traces nowdays- was purchased by the Requesens family (arrived in Sicily in the wake of the emperor Charles V) in the sixteenth century, who transformed it into a noble palace. The palace moved through several metamorphosis till the end of 1700, when the architect Del Frago redesigned the façade of Valverde square (now Largo Cavalieri di Malta) and in the next centuries it lost most of its glamour facing the darkest decades until the end of the century. 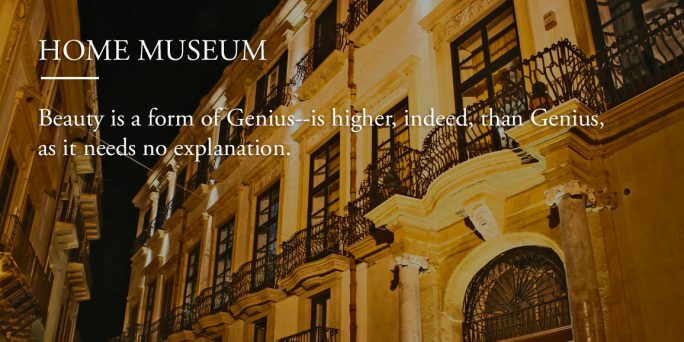 At the beginning of the new millennium, the main floor was acquired by the current owner who created his “buen retiro” as well as the perfect place to receive his several collections. 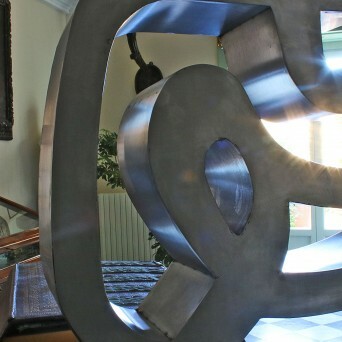 It was recently opened to an audience of international travelers eager to dive in an environment rich in works of art and the expertly woven signs of aging to give the harmony of the senses.